Join us for ABA’s “Don Quixote”- an entertaining evening for children and adults of all ages. 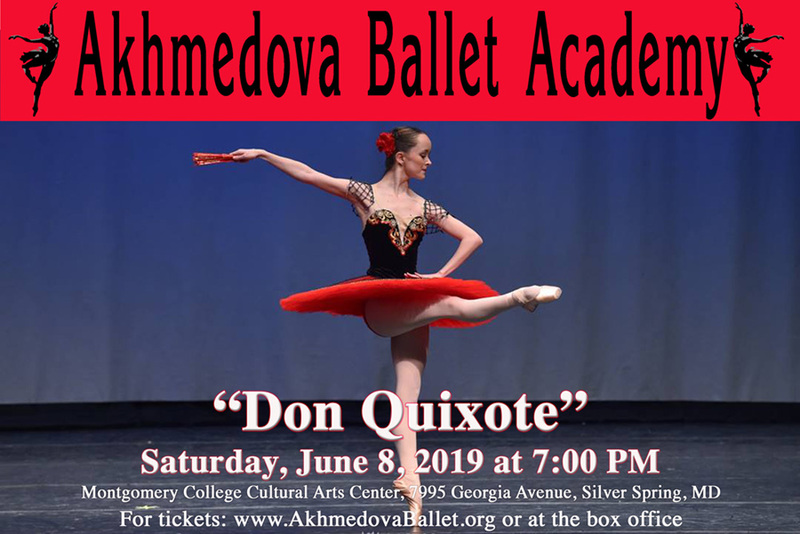 ABA’s professional training program students will present the ballet Don Quixote in one act that will enchant everyone’s heart. The second act will showcase classical masterpieces, contemporary and character choreographies presented in its highest and most passionate form. Tickets are available online or at the box office. Box office opens one hour before the performance.